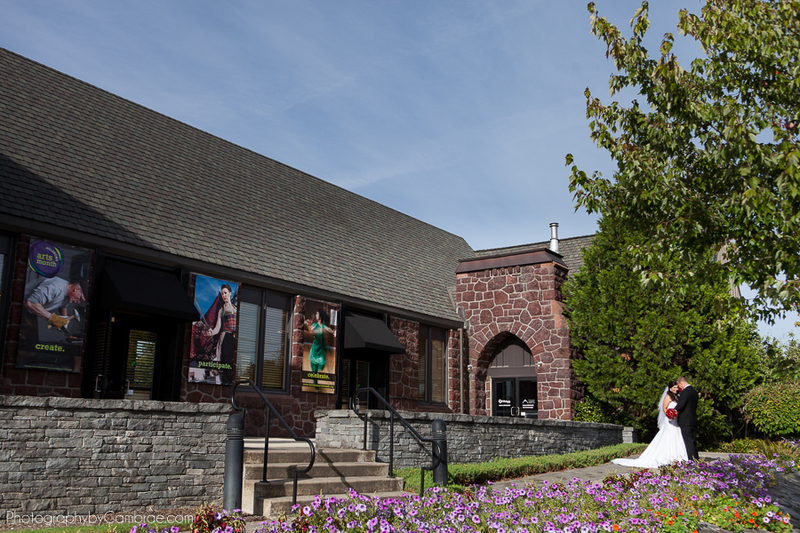 Veronica and Dale were married at the picturesque Glenn & Viola Walters Cultural Arts Center. The building stands so strong and made of stone, yet surrounded by beautiful delicate flowers. But the true gem of this venue is in the architecture of the interior ceiling. It made a grand backdrop for the coming together of these two families.